The president of Yachting Australia has revealed the America's Cup is the biggest challenge to the ongoing success of Australia's Olympic sailing program. "Quite honestly the America's Cup is our biggest challenge in the sport," Allen told The Australian. "If you're swimming for Australia that's the pinnacle if you're in the Olympics. 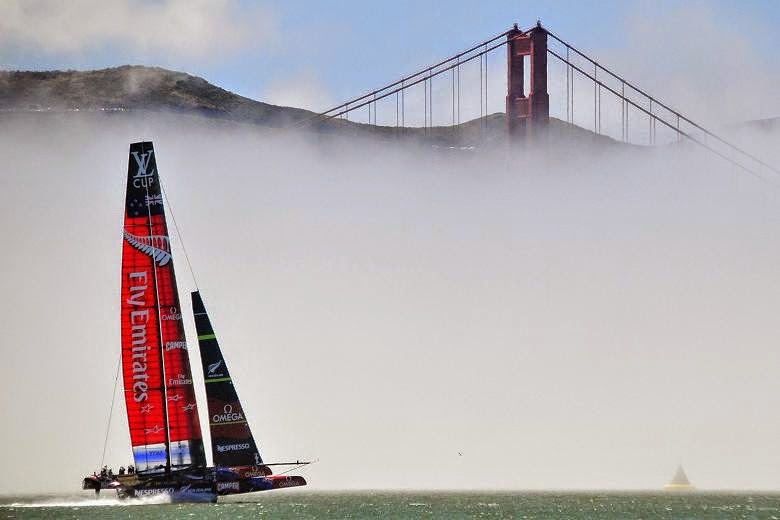 For sailing there is actually another financial level and that's the America's Cup. "So our challenge is to make sure that we don't lose our best athletes to the America's Cup." While the Olympic competition is decided athlete vs athlete using identical equipment, the battle for the Auld Mug is often settled by big cheque books and the designers' drawing board. Following the London Games, Australia's gold medallists were all signed by America's Cup teams. Allen, alongside the Oatleys, who was originally the America's Cup Challenger of Record, moved to lock in a more Olympic-friendly timeframe for the America's Cup regatta.